Télé Liban (TL) (Arabic: تلفزيون لبنان‎‎) is the first Lebanese public television network, owned by the Lebanese government. Télé Liban was originally launched in 1959 by General Sleiman Nawfal with the aid of France. It was merged with two privately owned stations, CLT and Télé Orient, in November 1976. 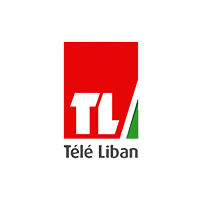 Télé Liban can be received in the all Middle East and North Africa region, through the Nilesat/Eutelsat 7W satellite, and viewers can receive it for free.